If you want to rid of your wrinkles and rid of them completely, you will need these 10 essential ingredients in your skin care regime. Without the anti aging ingredients listed below, you are not getting the full benefit from your anti aging treatment and you'll become very discouraged. Discover which anti aging ingredients deliver age-reversing results quickly and finally. Argireline® is a powerful anti-wrinkle hexapeptide that has a Botolinum effect to the skin. The peptide is derived from natural proteins that actually relax facial muscles to the point of paralysis. This is why it's called "Better than Boxtox in a bottle". It is just like having a Botox alternative, but better since it has the ability to hydrate the skin. It works by interrupting neurotransmitters that tells the muscles to contract. If the muscles don’t contract, wrinkles are not formed. It’s just that simple – and safe. Scientific Research has concluded that argireline works by reducing the depth of those facial wrinkles resulting over time from the contraction of muscles associated with facial expressions, particularly in the front and surrounding the eyes. … Review More Details About Agireline. Matrixyl is Palmitoyl Penta (or Oligopeptide) peptide; Matrixyl™ 3000 contains two matrikines™, Pal-GHK and Pal-GQPR (Palmitoyl Oligopeptide and Palmitoyl Tetrapeptide-7) which works together to restore collagen production while stimulating fibroblast cells in the skin, enabling them to significantly reduce the appearance of wrinkles and maintain skin's youthful appearance. Palmitoyl Terapeptide is another breakthrough ingredient which inhibits and reverses glycation damage. … Review More Details About Matrixyl™ 3000 . Hyaluronic acid plays a vital role in the way your skin looks, feels, and functions. A natural complex sugar found in all mammals, it's a major component of the connective tissue matrix in the inner layer of skin beneath the epidermis. This matrix is made up of hyaluronic acid as well as two connective fibers—collagen and elastin. As you age and your skin is exposed to environmental pollutants and the sun's ultraviolet rays, your cells gradually lose the ability to produce hyaluronic acid. Studies have shown that aged skin has less hyaluronic acid than younger skin, thus your skin tissue becomes dehydrated and the collagen and elastin fibers lose their structure, resulting in a loss of skin volume and the formation of the facial wrinkles and folds increase. By its nature, hyaluronic acid retains water like a sponge, absorbing more than 1,000 times its weight. This helps to attract and maintain water within the extracellular space, hydrating your skin and increasing its volume and density.… Review More Details About Hyaluronic. L-Arginine called "a magic anti-aging bullet" is a non-essential amino acid, and promotes the production of collagen. Nitric Oxide is a compound discovered by three Nobel price winning scientists in 1998. Scientists are quite excited about Nitric Oxide that there are over 3,000 independent published scientific papers proving its efficacy. Nitric Oxide is said to dilate the capillaries and increases healthy blood circulation to the skin. The enhanced circulation helps to bring a flood of nutrients saturating the malnourished skin with new life. It improves skin texture, elasticity, thickness, stimulating cell regeneration, and restores moisture. It Reduces Wrinkles and Creates Tighter, Smoother Skin. 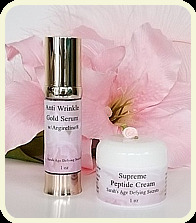 L-Arginine is found in Anti Wrinkle 55 Gold. Vitamin A is a fat-soluble vitamin that is derived from two sources: preformed retinoids and pro-vitamin carotenoids. Vitamin A encourages skin cell renewal by stimulating the effect of epidermal growth factor, and increasing the rate of Mitosis cell division. Retinol is a vitamin A compound and is the first antioxidant to be widely used in non-prescription wrinkle creams. Antioxidants are substances that neutralize free radicals — unstable oxygen molecules that break down skin cells and cause wrinkles. Retinol is less potent than the vitamin A derivative tretinoin (retin-a), a topical treatment approved by the Food and Drug Administration (FDA) for treating wrinkles. Topical Vitamin A has also been shown to stimulate collagen synthesis. It helps diminish the depth of wrinkles. Vitamin C Improves blood flow and boosts collagen production within the body. It helps to thicken the skin and diminishes fine lines and wrinkles. It is a highly effective antioxidant which reduces skin damage caused by free radicals caused by exposure to sunlight and pollutants and boosts the effectiveness of Vitamin E, which is important in protecting our cell’s membranes. Vitamin C is an effective depigmenting agent and increases skin hydration by preventing moisture loss. It makes aged dull and dry skin radiant, and glowing. Like Vitamin C, Vitamin E is a highly effective antioxidant. Vitamin E battles the aging effects of free radicals and reduces the incidence of scarring. It protects skin cells from ultra violet light, pollution, drugs, and other elements that produce cell damaging free radicals. More benefits are obtained from topical application of vitamin e through creams or lotions rather than taking vitamin e orally. Vitamin E is an essential part of healthy skin care. Ascorbyl Palmitate gently soaks into the skin more quickly than Vitamin C. It is also a collagen booster, helps retain moisture, helps alleviate age spots to even out skin tone. It also is a blood capillary strengthener which means fewer broken blood capillaries are visible on your face. Made from the combination of ascorbic acid with palmitic acid. Pearl Powder, an Ancient Chinese beauty secret that has been used for over 3000 years for lustrous, beautiful skin...a treasure that was used for centuries by Asians, Egyptians, Chinese, Mayans and Indians for health and youthful vitality, as well as for beautifying the skin. It is a rich source of amino acids and minerals including calcium, magnesium, zinc, iron, strontium, copper, selenium, strontium, silicon and titanium. Pearl contains calcium carbonate, magnesium carbonate, calcium phosphate, ferric oxide, silica, all necessary for the human body to maintain cell nutrition. It is renown for fighting wrinkles and the signs of aging. Pearl Powder also exfoliates, invigorating skin, shedding old skin to make way for new skin to grow. This should be taken internally as well as externally. … Review More Details About Pearl Powder. Omega's are important essential fatty acids. For skin care you need a balance of Omega 3 & 6 & 9. Omega-6 is alpah-linolenic acid, Gamma-linolenic acid GLA, Dihomogamma linolenic acid DLA, Arachidonic acid AA. Linoleic acid is used to build omega-6 fatty acids and alpha-linolenic acid is used to build omega-3 fatty acids. Scientific research has shown that dry skin such as scaling or cracking can be reversed by skin care products containing Omega 6 fatty acids. 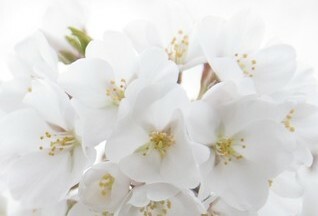 Omega-9 helps boost antioxidants and Promotes healthy skin and nails. It is a family of fatty acids which includes two major fatty acids called stearic acid and oleic acid. Stearic acid is a saturated fat which can be converted to oleic acid, which is monounsaturated. Oleic acid is the most abundant fatty acid found in nature and the primary oil produced by skin glands. Scientific research has shown that dry skin defects such as scaling or cracking can be reversed by skin care products containing Omega 6 fatty acids. Look at the ingredients you are using on your skin with whatever products you have chosen, and if they lack any one of these essential ingredients, you are throwing your money into the sea of discouragement. Thus you will never regain that radiant, youthful appearance again, Guaranteed!